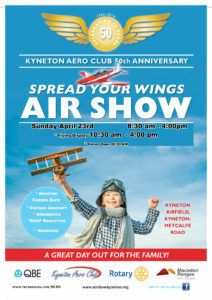 Considering flying in? There will be a parking booking system in place for just “40” aircraft due to the limited number of positions available. 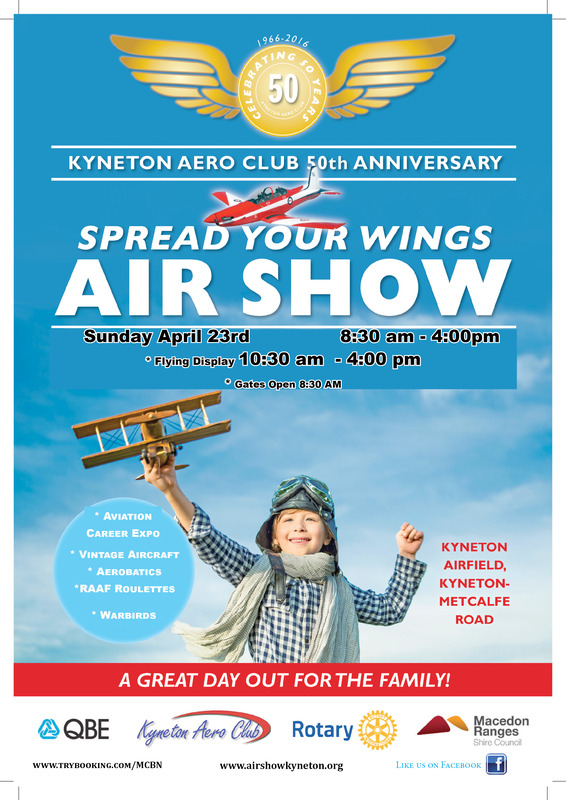 Please also ensure you also register on the the Kyneton Aero Club web site you request to land at the field – REQUEST FOR LANDING PERMISSION Closing time for arrivals will be 09:45 hrs with re opening at a time to be determined after the last display. This is estimated to be at 16:00 hrs. So those that are not IFR or night VMC plan ahead and check your last light.. By registering you will receive a confirmation with UNICOM details. 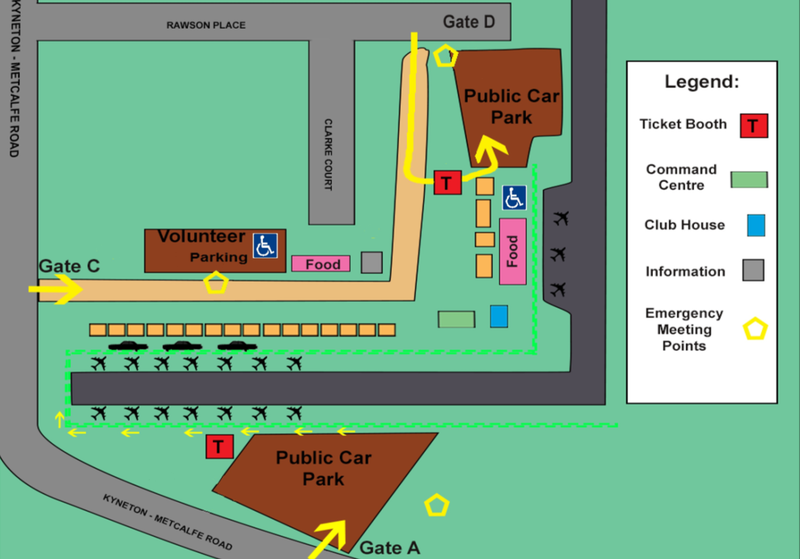 Please note that disabled parking & access will be within the volunteer car park. 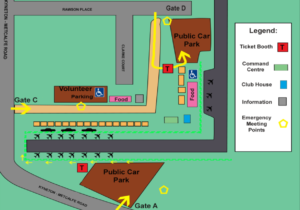 Disabled toilets are available as indicated on the map below and within the event program.